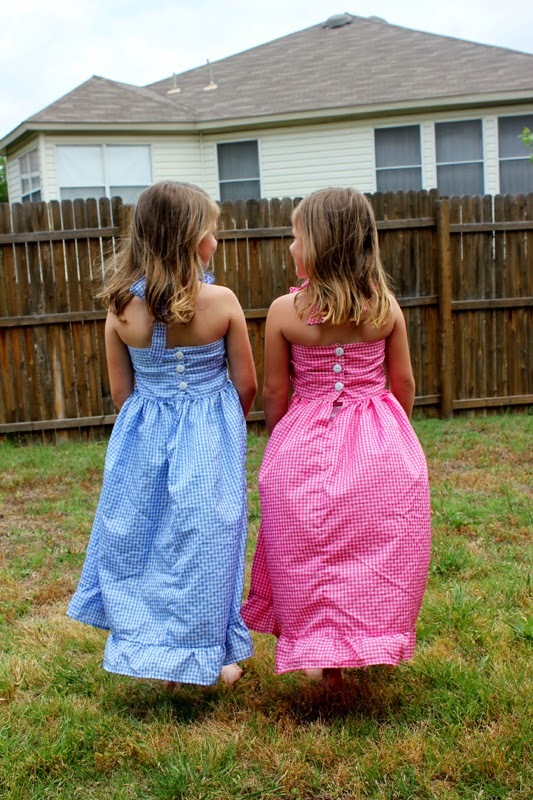 Maxi dresses are a big trend right now and about a year ago I started see little girl maxi dresses on Etsy. 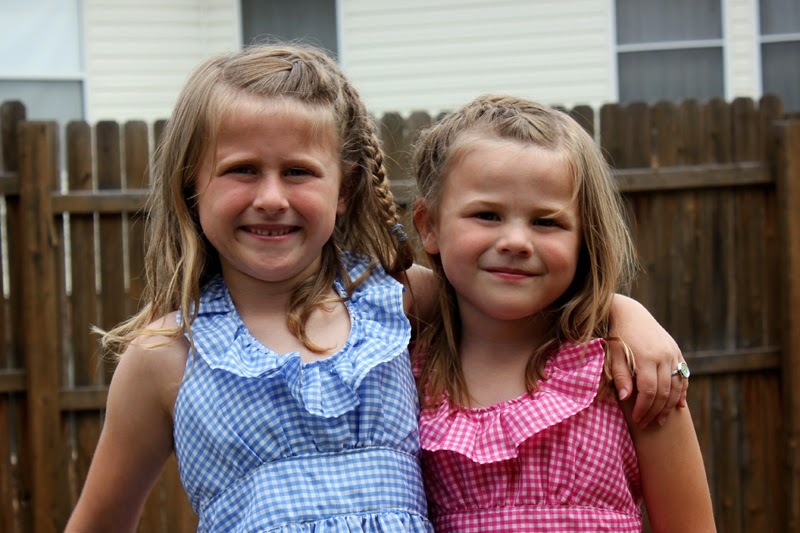 I thought I would make a couple of chevron ones for a friend's little girls on their birthday. I used the all the pieces from version C except the skirt from and back. True to size I made both of my girls size 6 (even though one is 5 she has the waist size of her sister). Then I took the skirt pieces from version F and subtracted the 3.5 inches off the bottom to account for the ruffle on the bottom. I like the way the bodice fits and the way the ruffle adds added interest to the bodice. I did swap out a zipper for 3 buttons on the back instead. 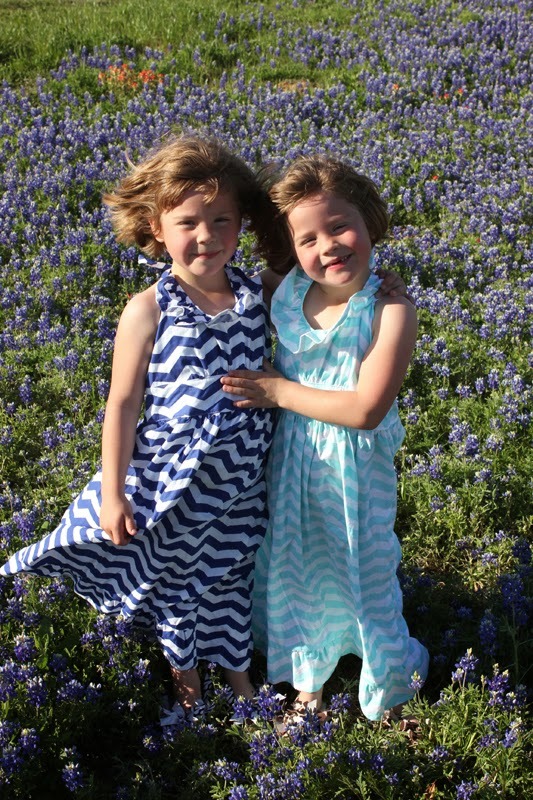 The girls love the dresses and like to wear them as dress up clothes to pretend they are the princesses from Frozen. 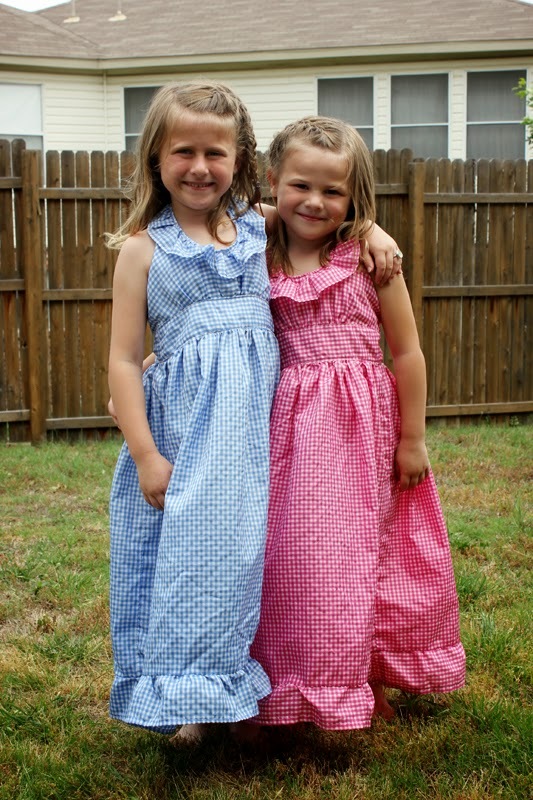 I will certainly be using this pattern to make more dresses, most likely another set of these maxi dresses but I am curious on how version F will look on my 6 year old so that might be next. 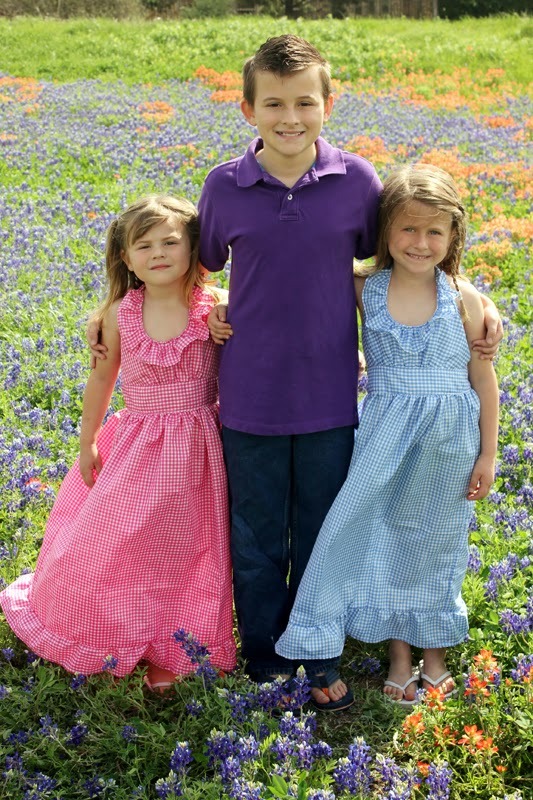 Hope you all had a great Mother's Day! 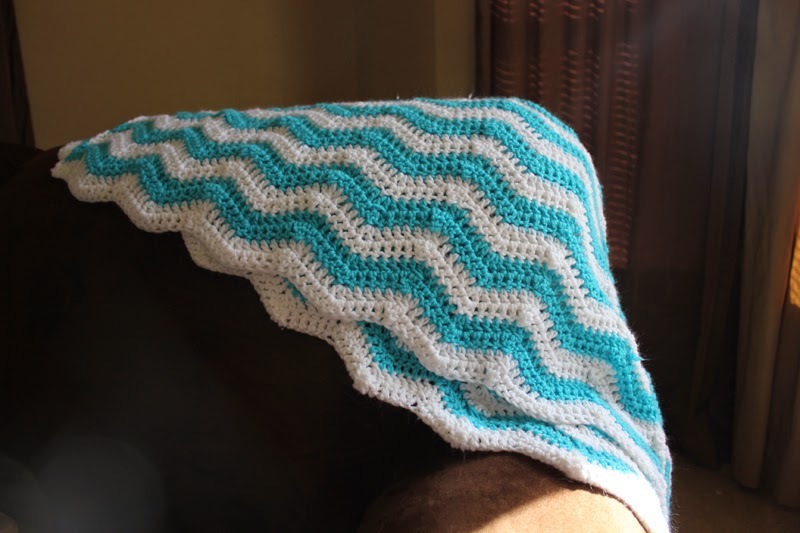 Chevron's are all the rage now-a-days so I thought this was a good choice for design on the afghan I made for my nephew Liam. 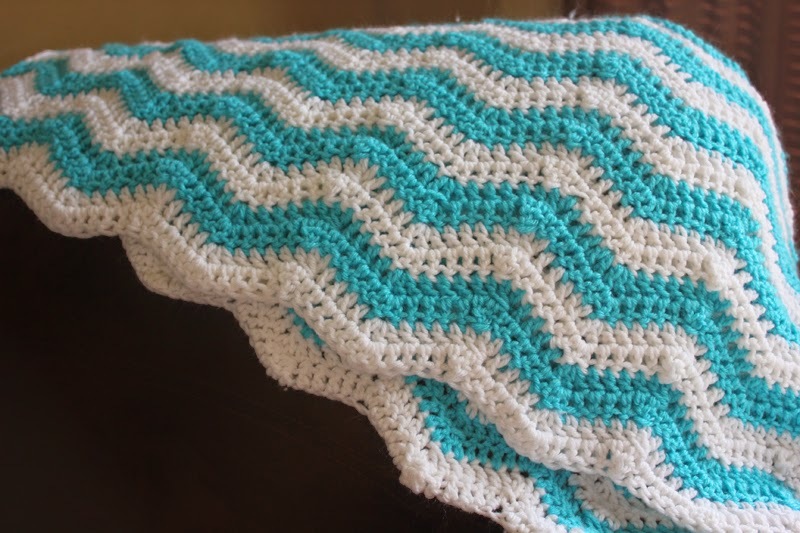 I used this pattern from Ravelry: Chevron Crochet Baby Blanket by Laura Kovacs. 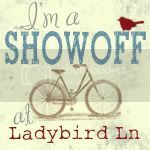 If you are a knitter or crocheter you need to be a member of this site! 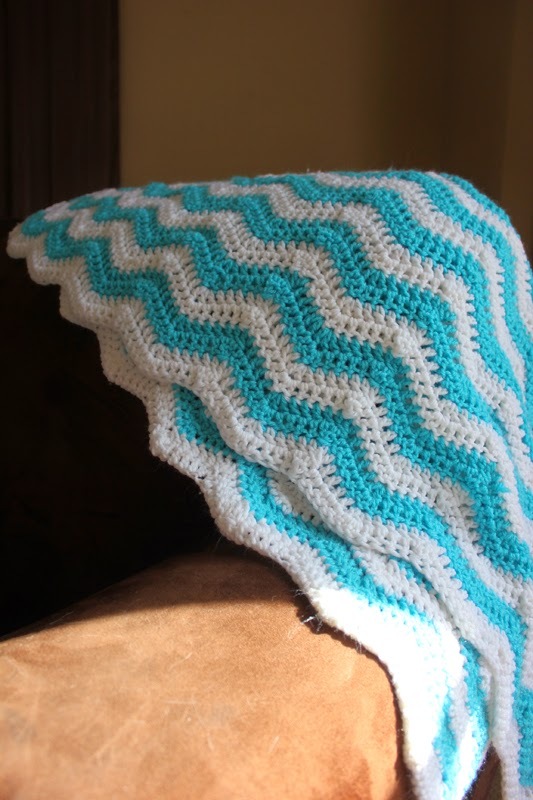 It has tons of free patterns for just about anything imaginable. Easy to follow pattern and the blanket actually came together really fast! I used white and turquoise Love This Yarn from Hobby Lobby, 2 skeins each. I washed it a couple times before giving it to Liam and it turned out quite soft and cozy. 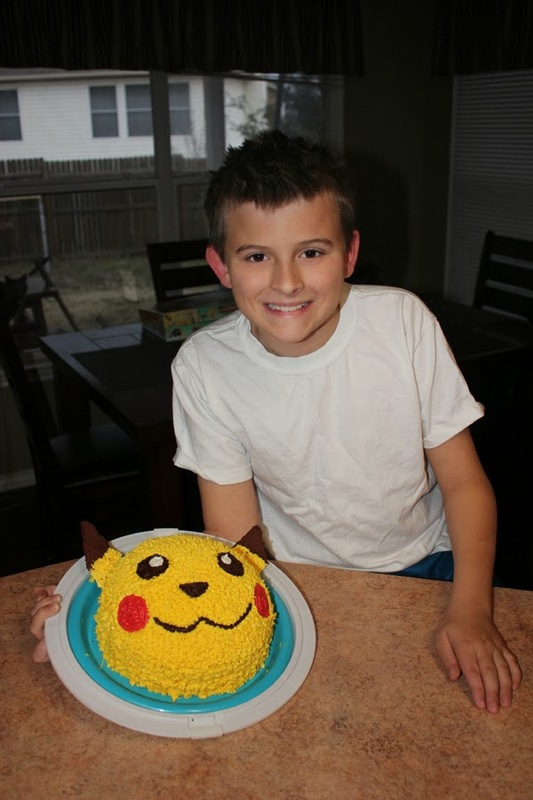 For my son's birthday this year he choose a Pokémon theme. 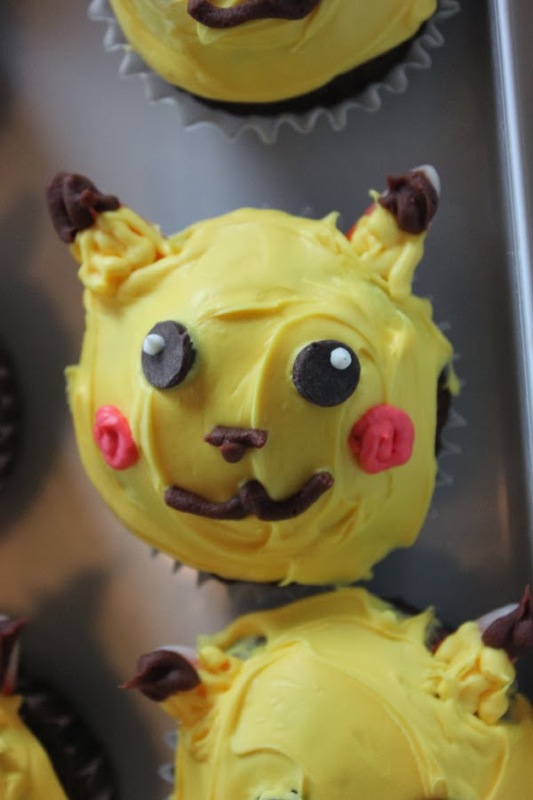 The cake and cupcakes turned out so cute I just had to share. 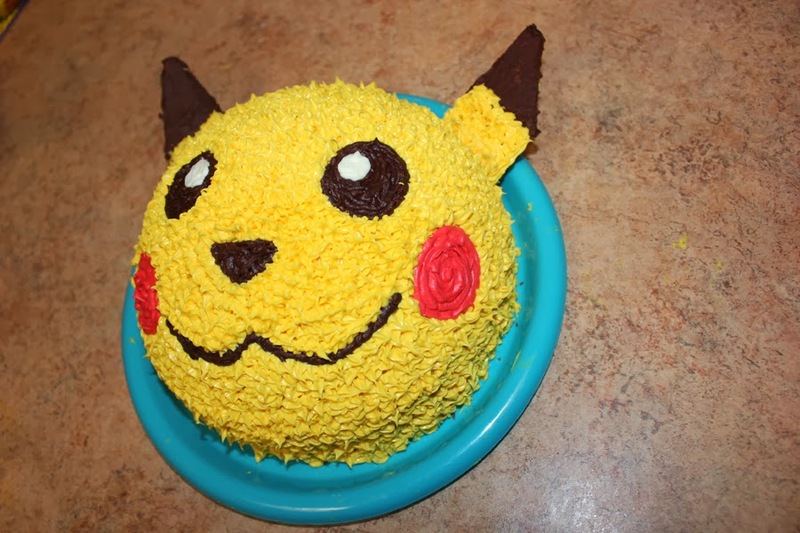 The character is Pikachu, some kind of character from the Pokemon cartoon series. 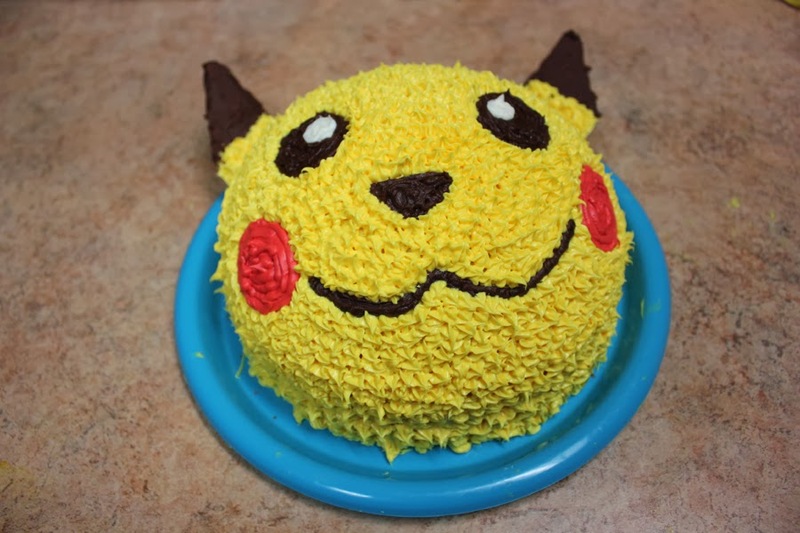 I got inspiration for the cake from Pinterest. I used graham crackers for the ears. I "sawed" them into the point with a knife very slowly (they will break easily if you don't saw back and forth slowly). 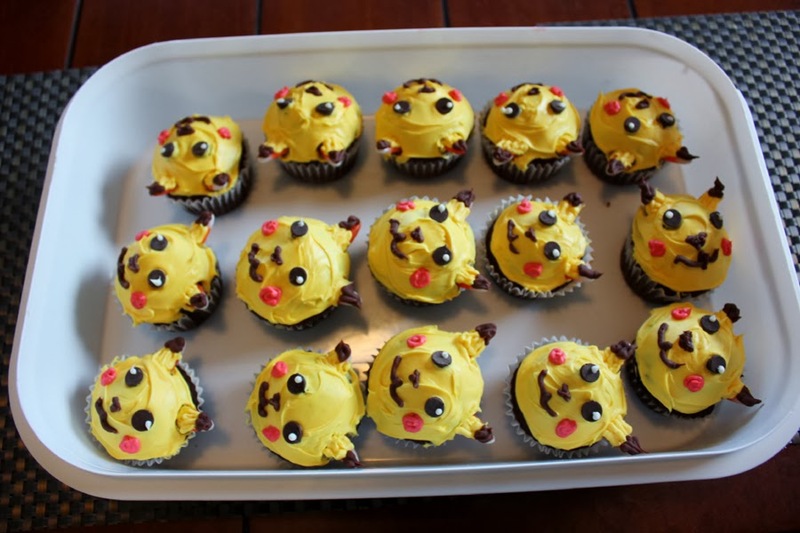 Then covered them in icing for the correct coloring. For the cupcakes I used candy corn for the ears (covered them with icing to make them the correct color) and chocolate chips for the eyes. 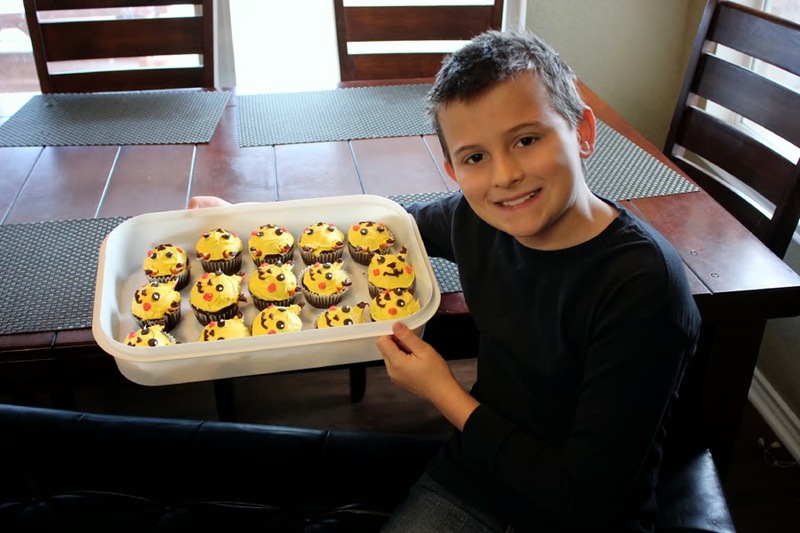 I think they turned out cute and his class knew what they were instantly, so at least they were recognizable!